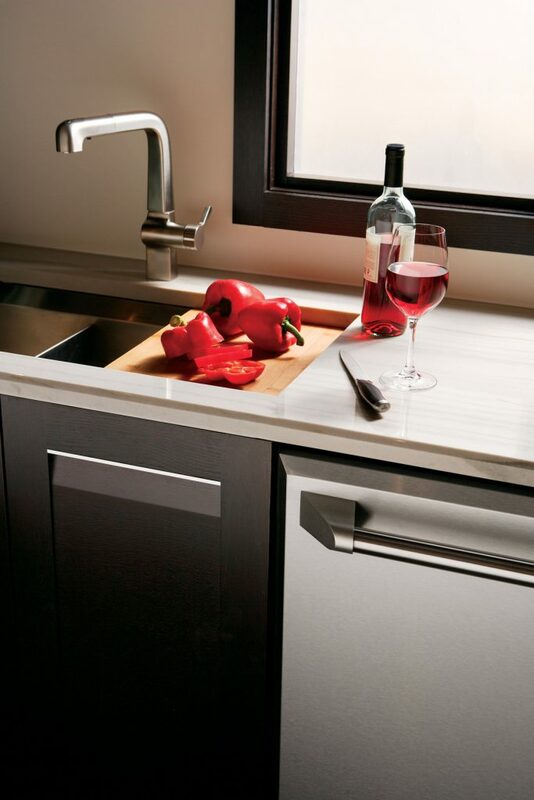 Function and form come together beautifully in a kitchen designed to make creating meals a joy. 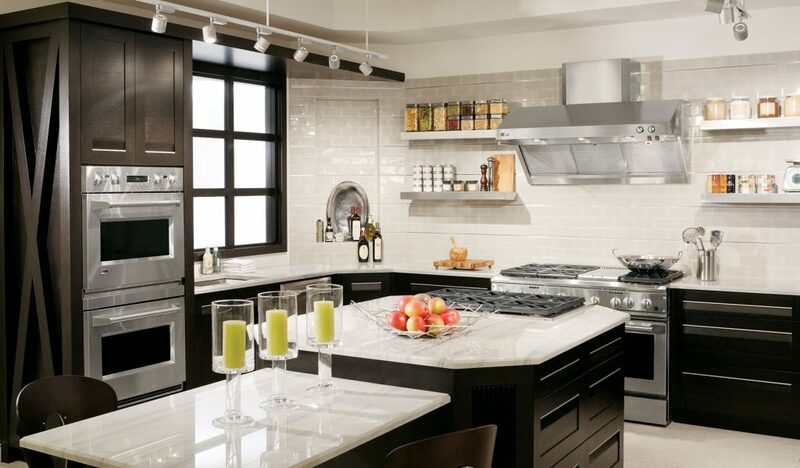 With silver glass, rich woods, and personalized drawer and cabinet compartments, this kitchen gives the chef everything within reach. 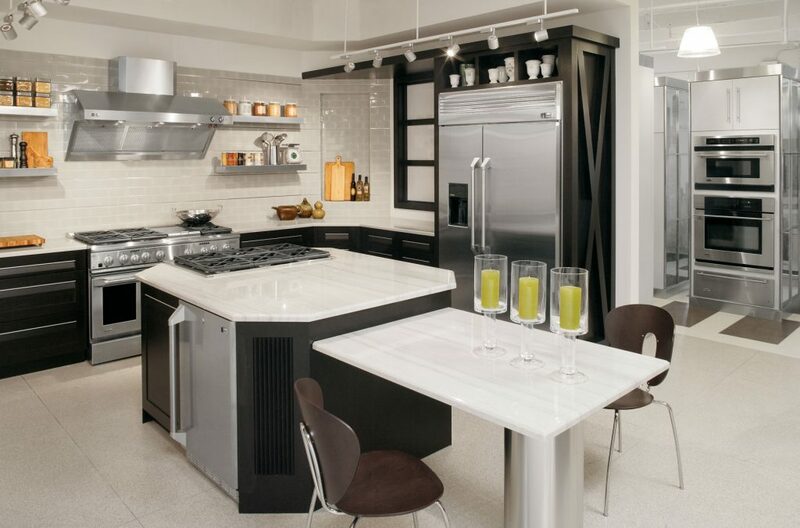 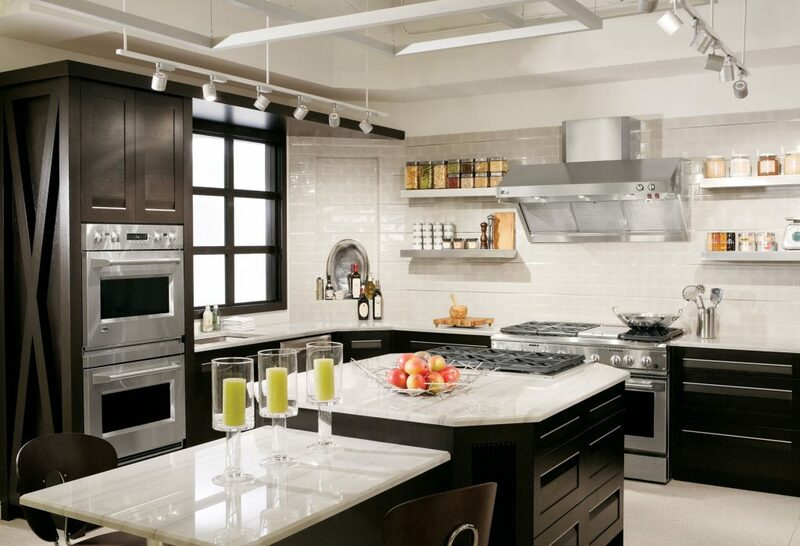 This kitchen is located in the GE Monogram showroom in Manhattan.